Dallas-Fort Worth, Texas — The Dallas-Fort Worth Regional Transportation Council (RTC) announced that it will explore hyperloop technology for two major transportation initiatives across the state. 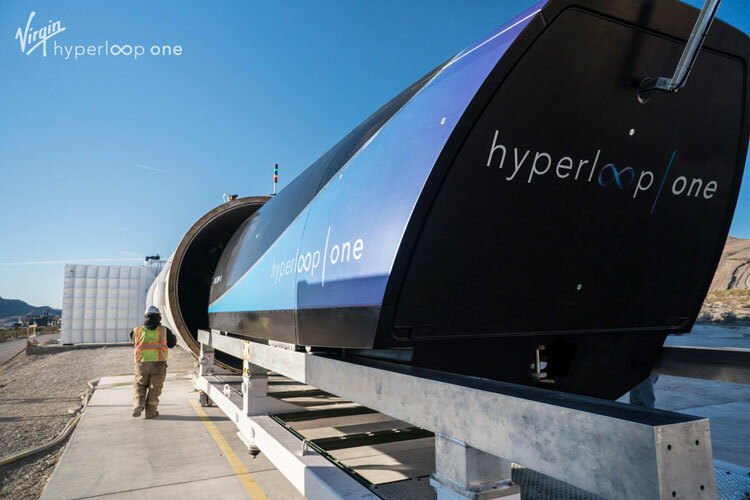 This announcement follows a recent visit to Virgin Hyperloop One’s full-scale test track in the Nevada Desert, where the delegation examined the next-generation technology firsthand and met with engineers at the company’s Innovation Campus in Los Angeles. Hyperloop is a new mode of transportation that allows vehicles to travel at very high speeds with minimal aerodynamic resistance by operating in a low-pressure environment utilizing next-generation magnetic levitation technology. Later this year, the RTC will issue a Request for Proposals for a consultant team to complete the Tier 2 Environmental Impact Statement (EIS) for a high-speed corridor connecting Dallas, Arlington and Fort Worth. The RTC wants to consider both hyperloop technology and traditional high-speed rail in the environmental study of the route. A preliminary analysis by Virgin Hyperloop One engineers estimated a six-minute hyperloop trip between Dallas and Ft. Worth.